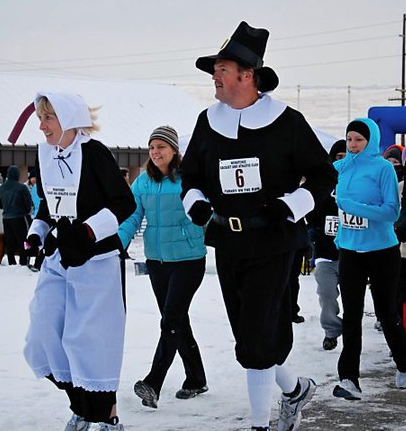 WENATCHEE — Could there possibly be any better place early Thanksgiving Day than Rotary Park, where the fifth-annual Turkey on the Run event will unfold? Should we count the reasons? Turkey on the Run attracts all kinds! — You get to burn off calories — whether you’re running or walking the 12K and 5K courses — in advance of the big feast later that day. — Your entry fee helps benefit the Women’s Resource Center of NCW. The event organizer, RunWenatchee, donates a portion of the proceeds to the women’s center. In addition, runners and walkers are asked to bring nonperishable goods for the women’s center to Rotary Park before the start. — Kids under the age of 12 can race for free with a paid adult. For kids really young, there is a short race that is free around the park prior to the start of the 12K and 5K. — A grab bag of prizes will be raffled off to participants at the conclusion of the event. Items include a three-month membership to Mountain View Fitness, gift cards to local eateries and stores, coffee coupons, clothing, and sports-related gear. Last year, the race attracted a record 400 participants. Right now, registration is running ahead of last year’s pace. 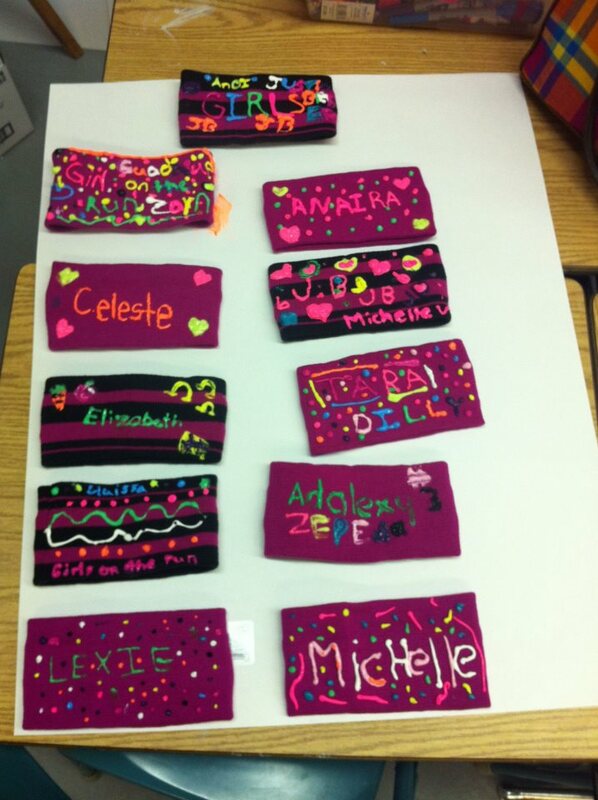 Local Girls on the Run members have made these headbands to wear at the Nov. 22 Turkey on the Run. Both the 12K and 5K will start at 9 a.m. at Rotary Park, located at Western Avenue and Maple Street. The 12K travels up No. 1 Canyon and then back to the park; the 5K along Western Avenue and the area directly to the west, and then back to the park. 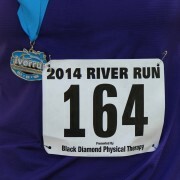 Presenting sponsors are Black Diamond Sports Therapy and SET Coaching. A highlight this year will be the involvement of the local Girls on the Run chapter. Girls on the Run, which boosts elementary school girls’ fitness levels and self-esteem, will have 25 local students, along with their adult running buddies, participating in the Turkey on the Run 5K. It will be the girls’ first official race and the culmination of the organization’s fall training program. Online registration for Turkey on the Run will be accepted at http://turkeyontherun.eventbrite.com/ until 11:59 p.m., Wednesday, Nov. 21. People also can register the day of the race, Nov. 22, from 8 a.m. to 8:55 a.m. at Rotary Park. The entry free is $35 for the 12K and $25 for the 5K.